Greetings, hoppers! 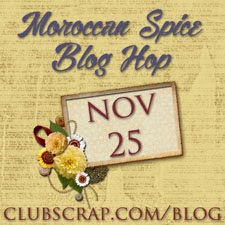 Welcome to the special Club Scrap Gnome for the Holidays blog hop. If you found me from Julie's blog, you are in the right place. If you've stumbled upon my blog and want to start at the beginning of the hop, go HERE. This hop features this year's fun Christmas stamps, Gnome for the Holidays. 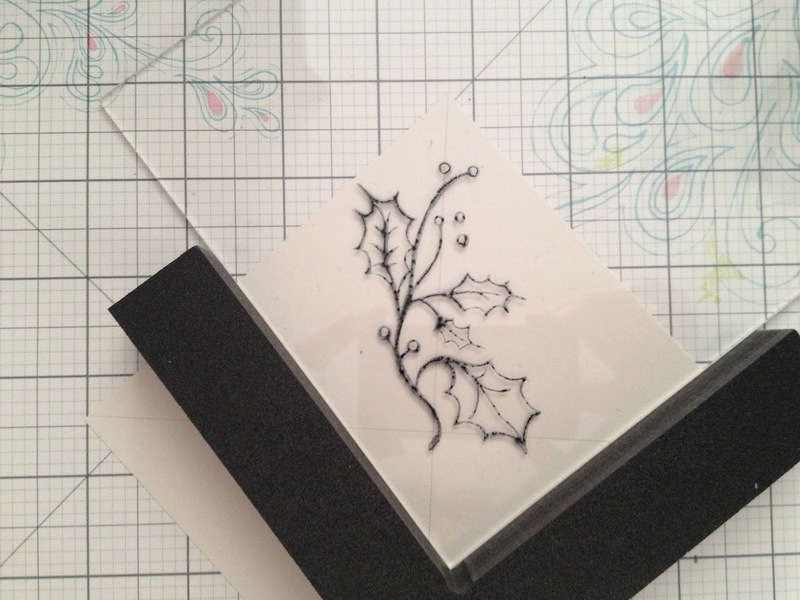 I purchased the unmounted (UM) stamps (below), and I fell in love with the holly stamps. (My first born daughter's name is Holly. She wasn't born at Christmas--named after her maternal grandmother's family, Hollingsworth.) I just smile every time I see Holly, I mean holly--well, I guess both of them! This is the project I made. 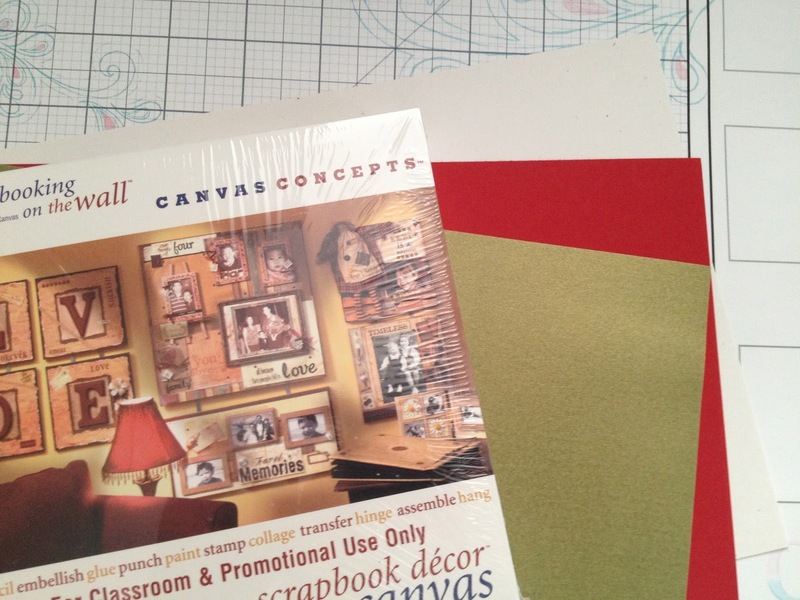 It features the holly stamps (bottom right and center left of the picture), and it looks so pretty sitting on my piano. I might have a hard time putting it away after Christmas! I used the small "holiday wishes" greeting in the center. The inspiration for my project came from a video I remembered from three years ago called Pinpoint Rotation. You can see it HERE. 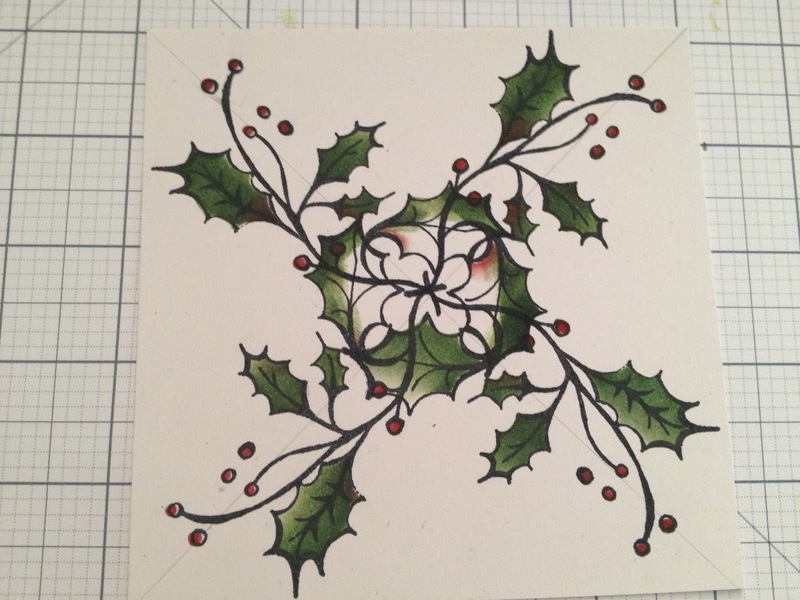 Tricia used a stamp from the All That Jazz Jr (Lite) (November 2010) collection, and as soon as I saw the large holly stamp, I knew it could be used for that technique. 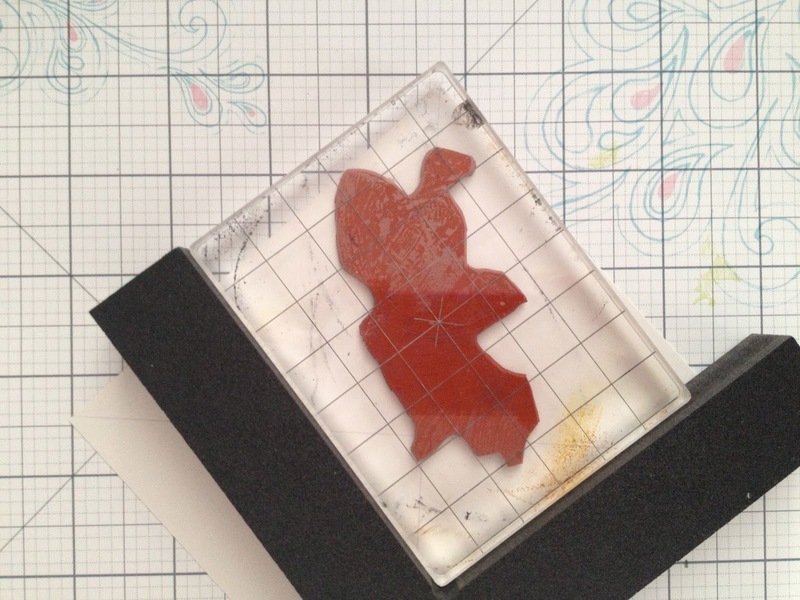 If you want to recreate my project, I highly suggest you check out Tricia's step-by-step video. 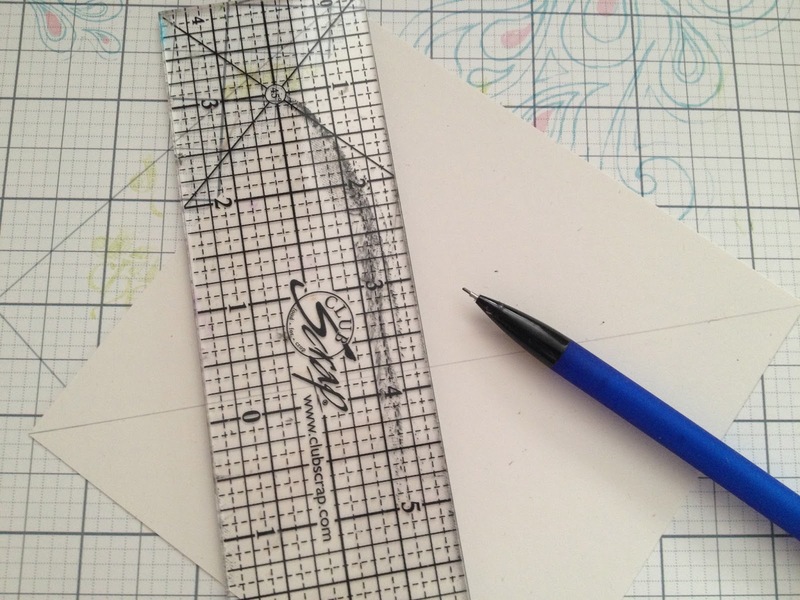 I only stamped the image four times, so I only needed to draw two very light lines with my pencil forming an "x" on the 5x5-inch white cardstock. 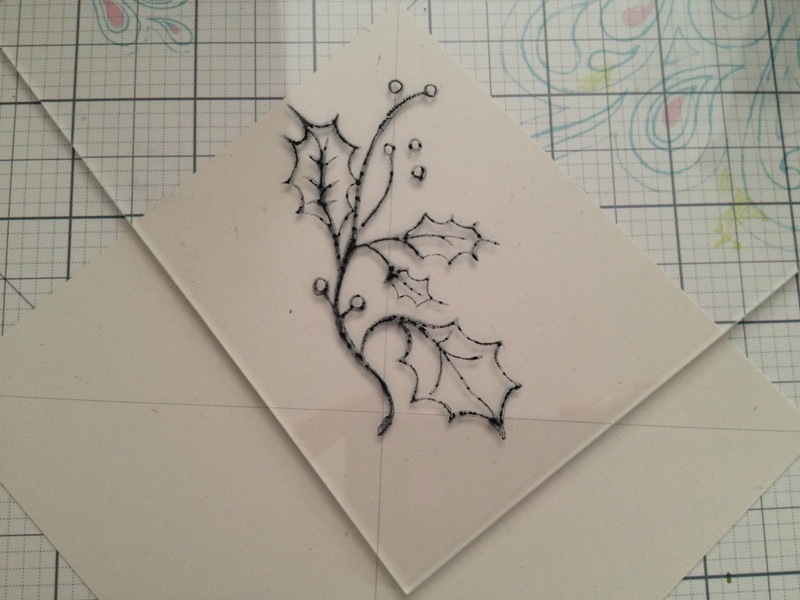 Using India black ink, I stamped the holly onto the acrylic, then I placed the acrylic onto the white cardstock where I wanted the stamped image. Keeping the acrylic in place, I positioned the black L tightly against it, then replaced the acrylic with the inked stamp (below). 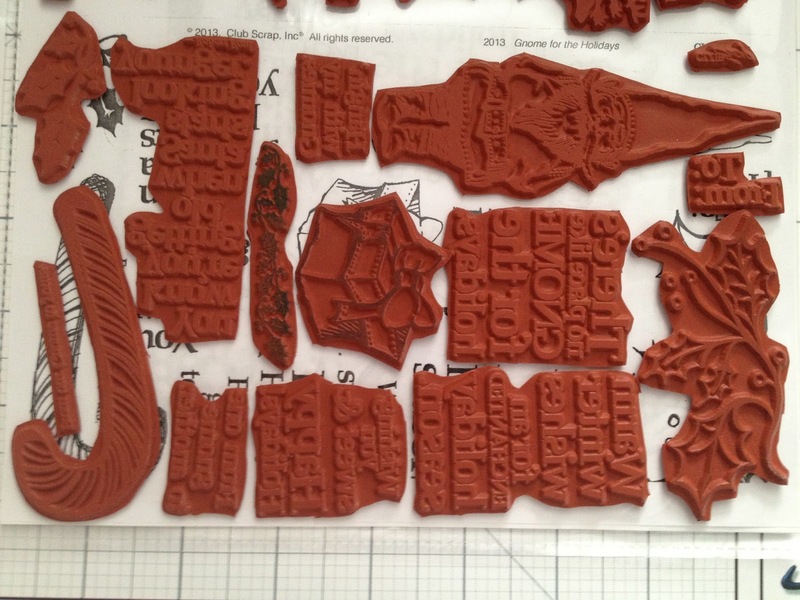 The key is to hold everything in place to ensure the stamping is where you want it. Repeating the process: Placed the stamped acrylic where I wanted the stamped image, nested the L against the acrylic, then replaced the acrylic with the inked stamp (on its acrylic block). Repeated the process two more times. 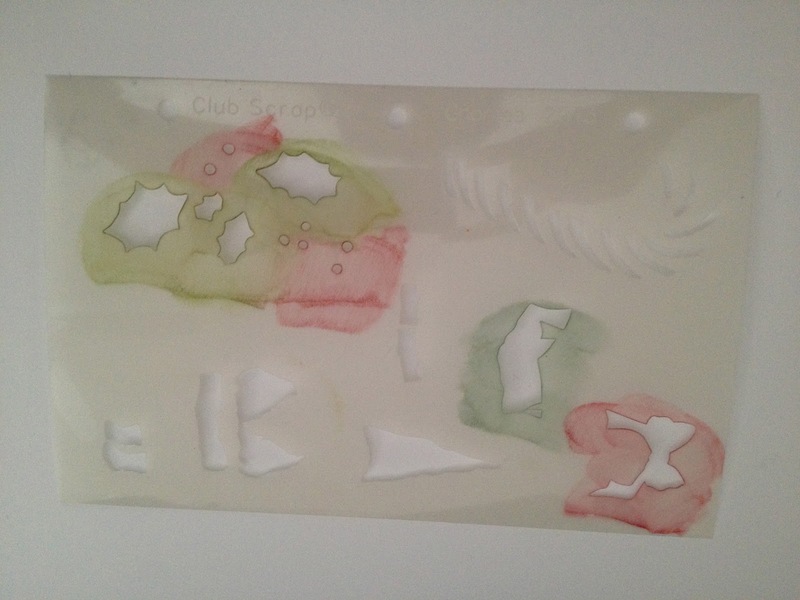 This is how it looks with the four images stamped. I knew I was going to cover the center with my sentiment, so I wasn't really nit-picky about the way the center turned out. Of course, if I wasn't going to cover it, I would have been more exact with my stamping. The next step was to color the leaves and berries. 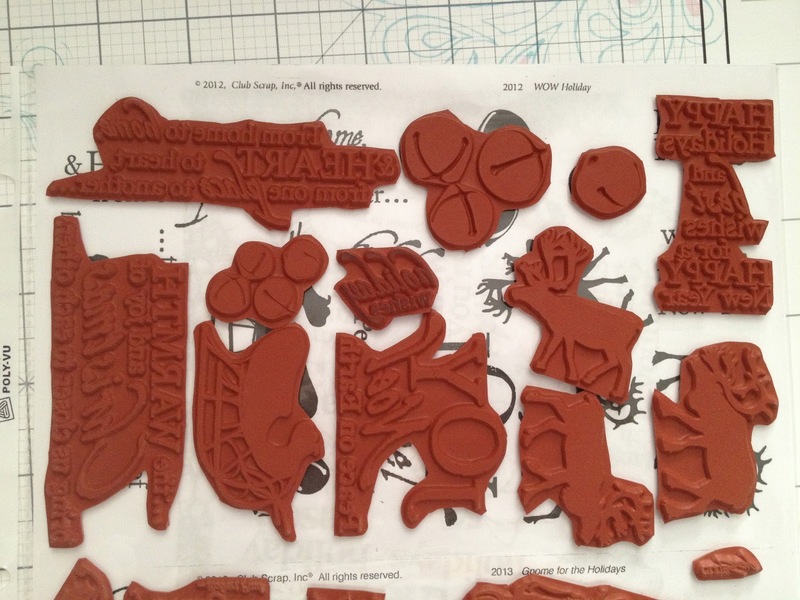 The stencil that comes with the UM stamps is an overlay stencil--what a fun way to combine stamping and stenciling! My completed image. I set it aside for a few minutes to ensure that the ink was dry, then I erased the pencil lines. Not an easy task, so I was careful as I could possibly be. 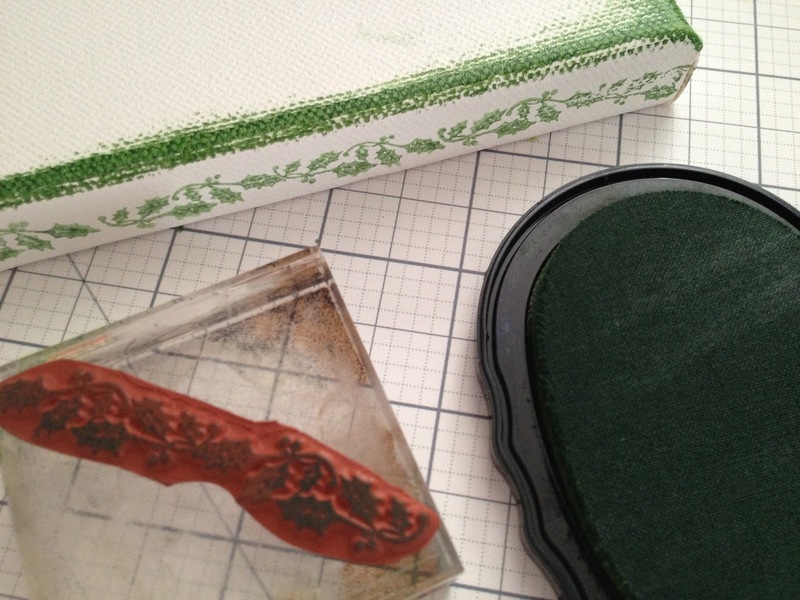 To dress up the white canvas, I inked the edges, creating a green frame. 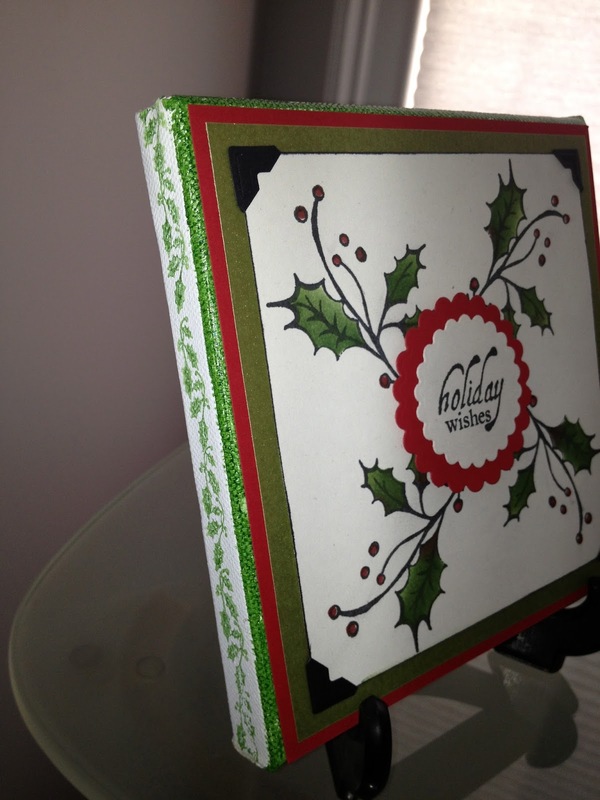 I then inked the small holly border stamp and stamped three times on each side of the canvas. I really like the way that turned out. 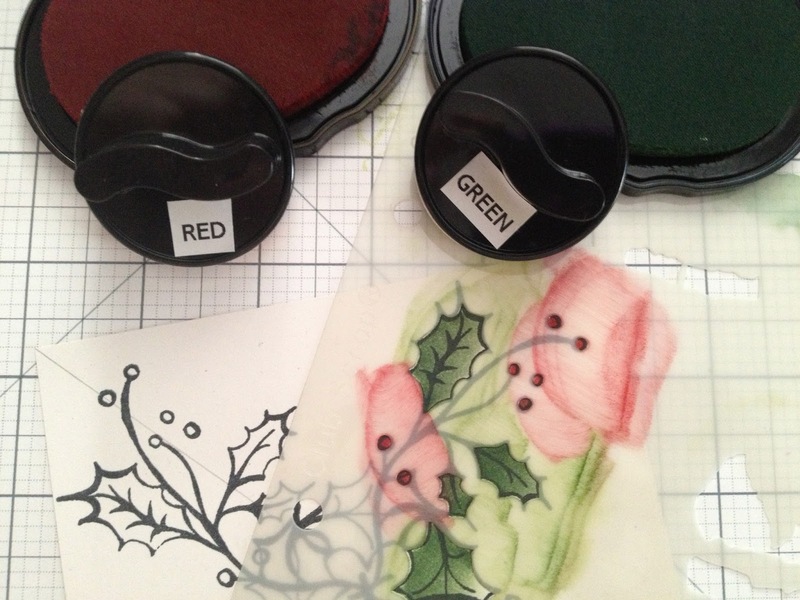 I then layered my inked image onto the green and red papers, adding black photo corners. 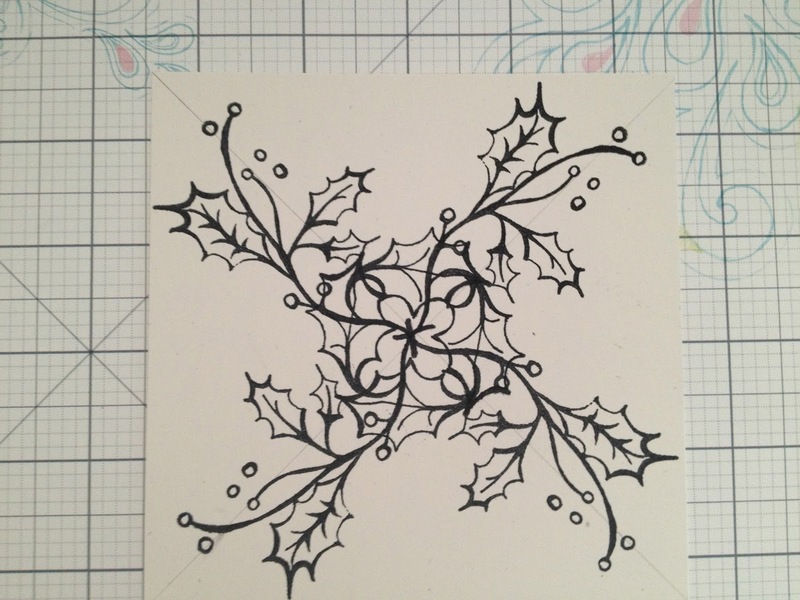 I also lightly inked the edges of the white cardstock with black ink. 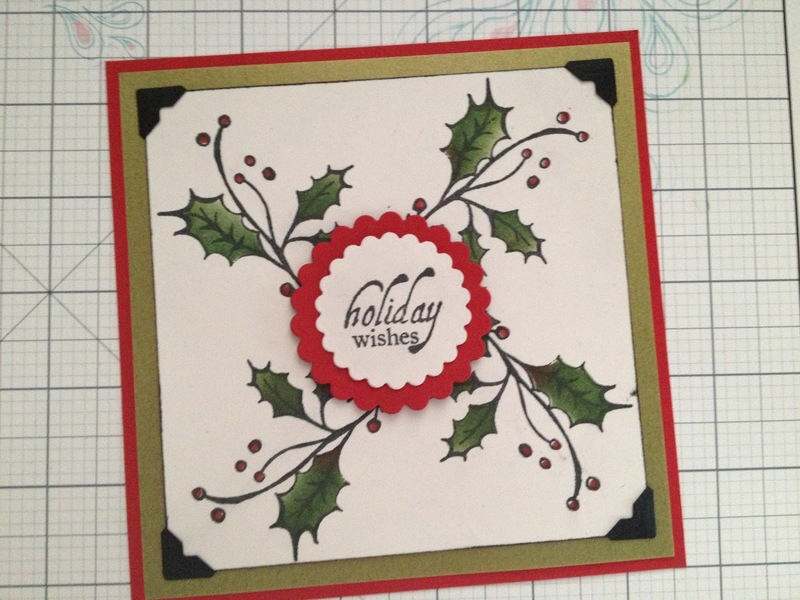 Stamping the sentiment onto white cardstock, I die cut it using a scalloped circle die--also die cut a red scalloped circle. 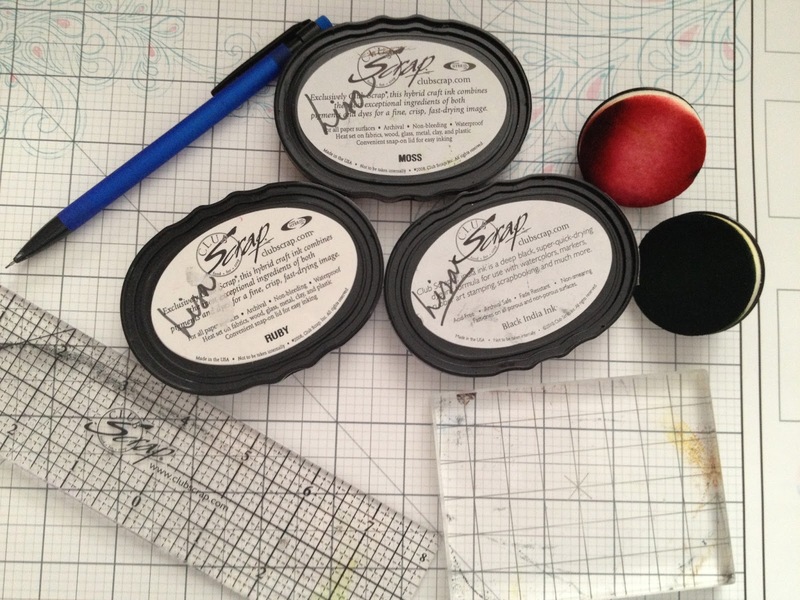 The circles were added to the center using pop dots for dimension. To ensure the cardstock adheres to the canvas well, I used very sticky red liner tape around the perimeter and in the center. Here's a side shot of the project. 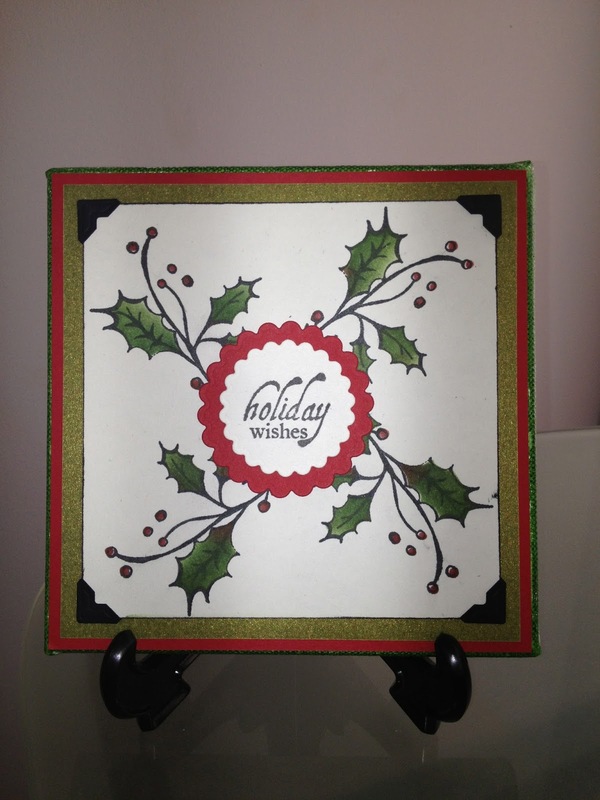 I like how the holly border mimics the stamped images on the front. What a fun pair of stamps! Thanks so much for making it to the end, my friends. 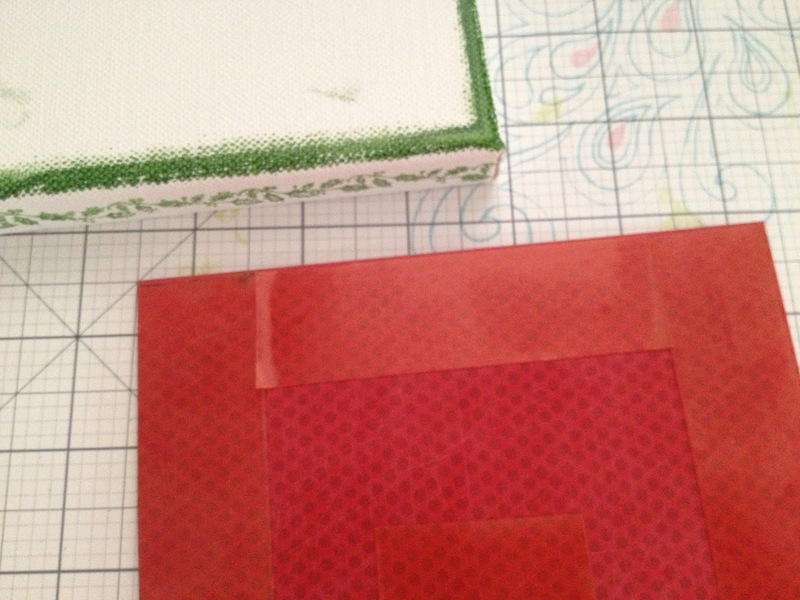 The next stop on the blog hop is Annette's blog. Click HERE to continue hopping along. Such a lovely card and I understan the hollyis fun to use. Thanks for the tutorial. Happy Holidays. Awesome and so detailed. Thank you so much Lisa. 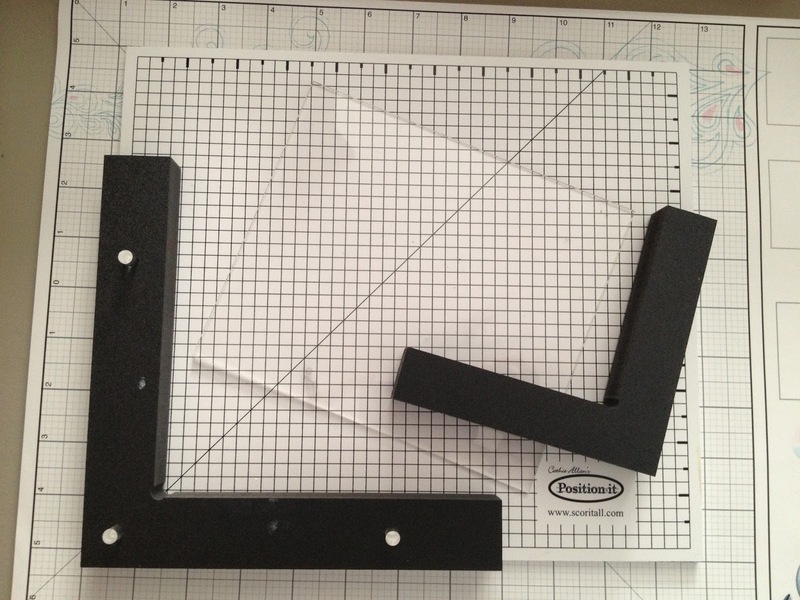 Lisa your steps outs and project are so fun! Home decor projects are some of my favorites. Beautiful job on this. 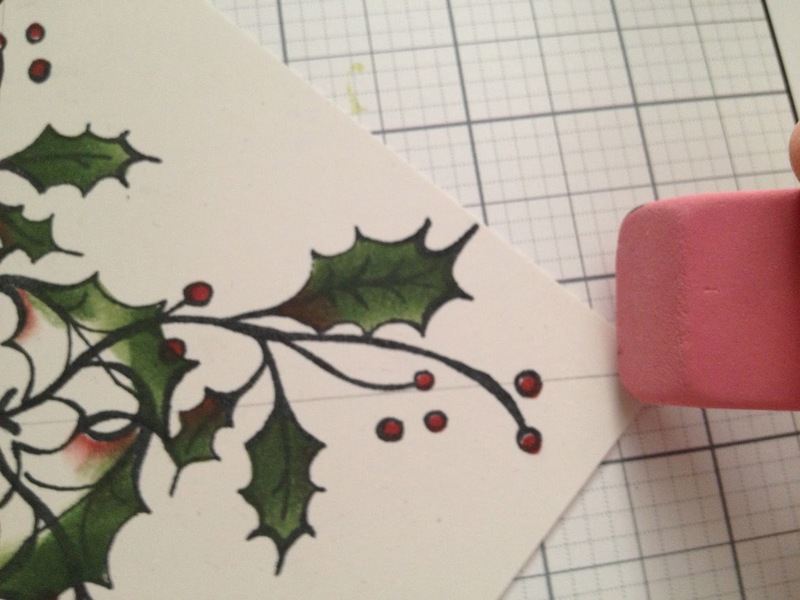 I really like that you were able to use the stamps and make something very special for the holidays Lisa! That tool is very useful and I'm glad you have us a demonstration. Great!! Thanks for the detailed instructions!! Beautiful card and technique. Blessings on your Holly! Thanks Lisa for the instructions. I just found my Position-It yesterday! What great timing! 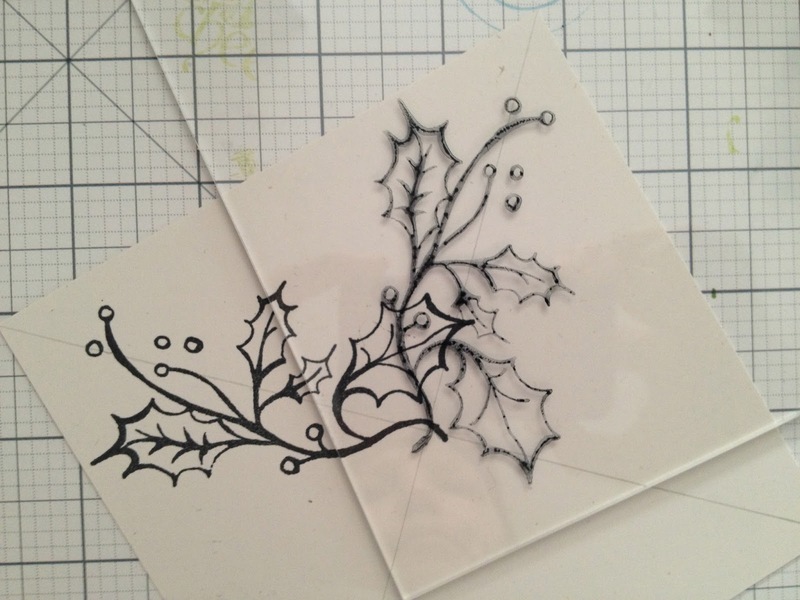 I love this holly idea! A great project. Thanks for the great tutorial. Merry Christmas to you and your family. This is great- love it! So pretty! I'm sure it will be a treasured keepsake for years to come! You did a wonderful job with the matching of the four images, and I love the holy stamped on the side of the canvas, wonderful project and I could not imagine putting it away either. Don't put it away! It's timeless! Lovely! It's very pretty. 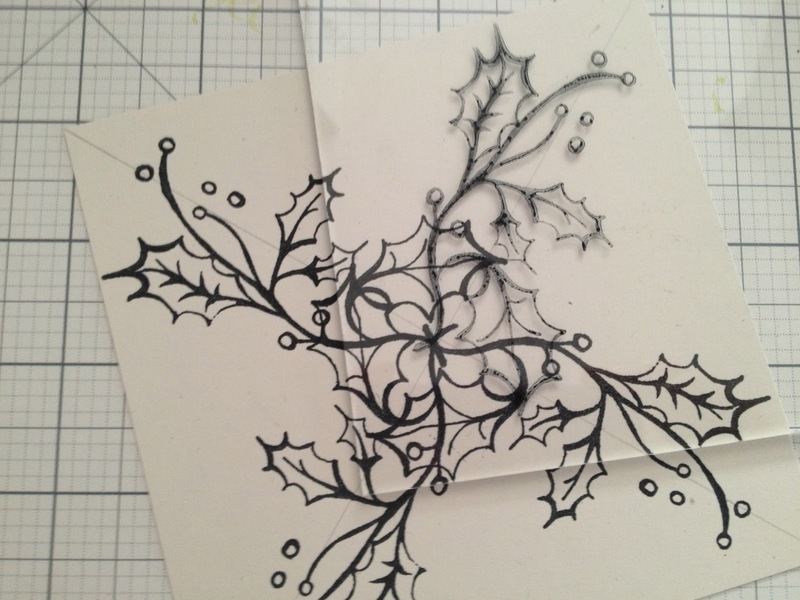 I've been meaning to try that pinpoint technique and this may be the inspiration to do it. This is beautiful, Lisa. Thanks for the inspiration. Clear directions and beautiful project. I love how the positioner worked.